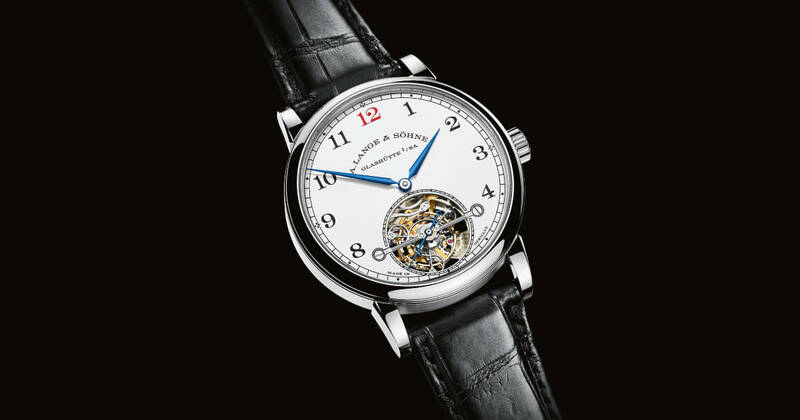 Four years ago, in the 1815 Tourbillon, A. Lange & Söhne first combined the stop- seconds mechanism for the tourbillon with the Zero-Reset time setting feature. Together, the patented mechanisms allowed the watch to be stopped and then set with one-second accuracy. Now, this precision timekeeping instrument has been introduced in an edition limited to 100 pieces with a white enamel dial. Limited to 100 watches, the special variation of the 1815 Tourbillon melds traditional craftsmanship with modern micromechanics. At first sight, the lucidly designed watch with the white enamel dial is a case study of understatement. But the large aperture at 6 o’clock alone provides a modest impression of its complexity: it reveals the one-minute tourbillon, suspended beneath a black polished bridge, in action. 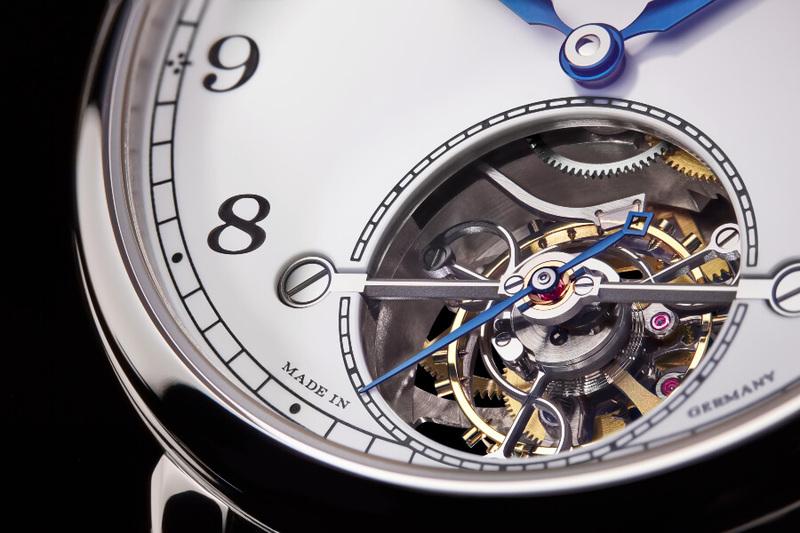 However, this tourbillon doesn’t just offset the influence of gravity. 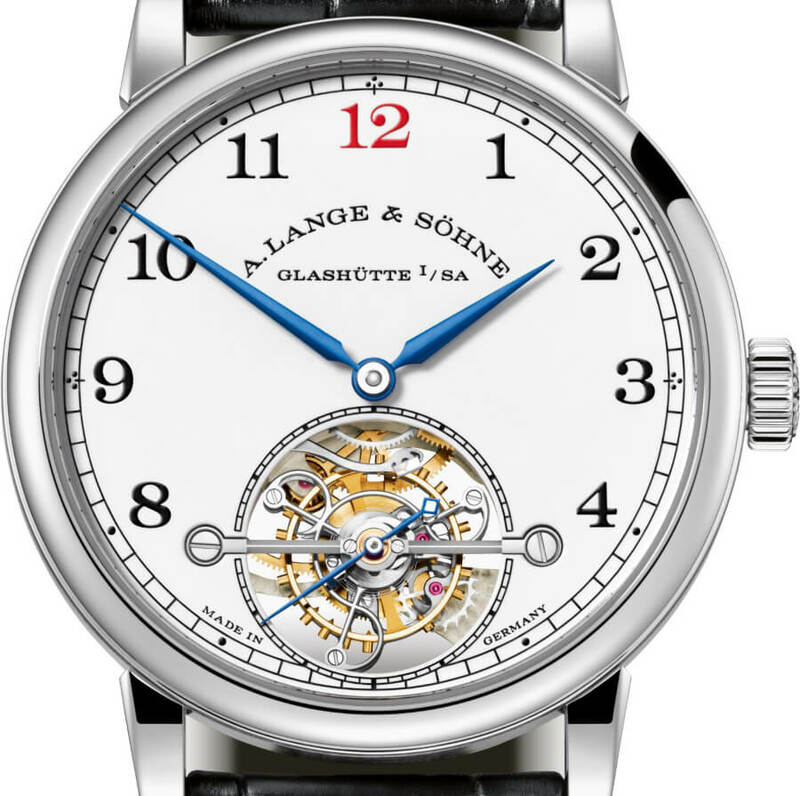 Lange’s experts have engineered a logical refinement of the intricate filigreed complication by adding two patented mechanisms. 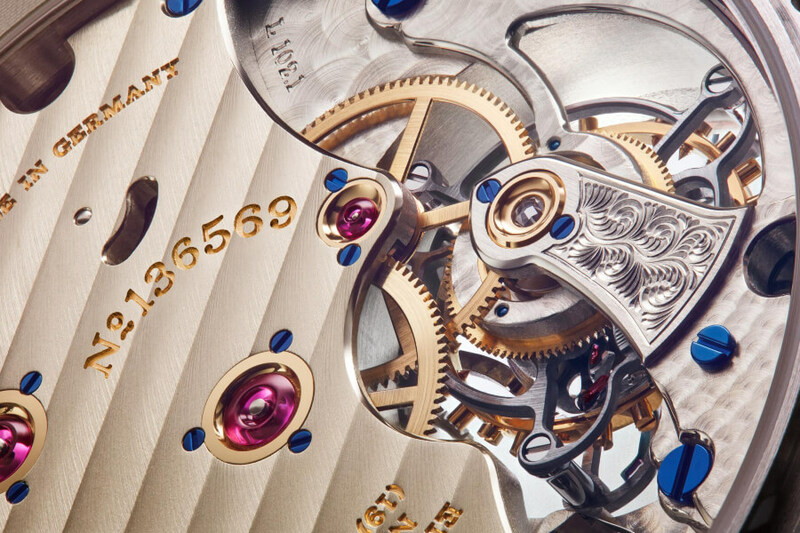 First introduced in 1997 with the Langematik model, the Zero-Reset mechanism interacts with the stop-seconds mechanism for the tourbillon – patented in 2008 – to assure one- second accuracy when stopping and setting the timepiece. The mechanical precision of the lavishly finished manufacture calibre L102.1 can be admired through the sapphire-crystal caseback. The exquisite movement decoration is crowned by a diamond endstone in a screwed gold chaton on the fourth-wheel bridge, which is adorned with a freehand engraving. The 39.5-millimetre platinum cases are consecutively numbered from 001/100 to 100/100. They constitute an appealing frame for the perfectly crafted white enamel dial. Some 30 manual processes are required to craft each dial. The quest for historic authenticity stands out in details such as the red 12, which is separately printed and fired. 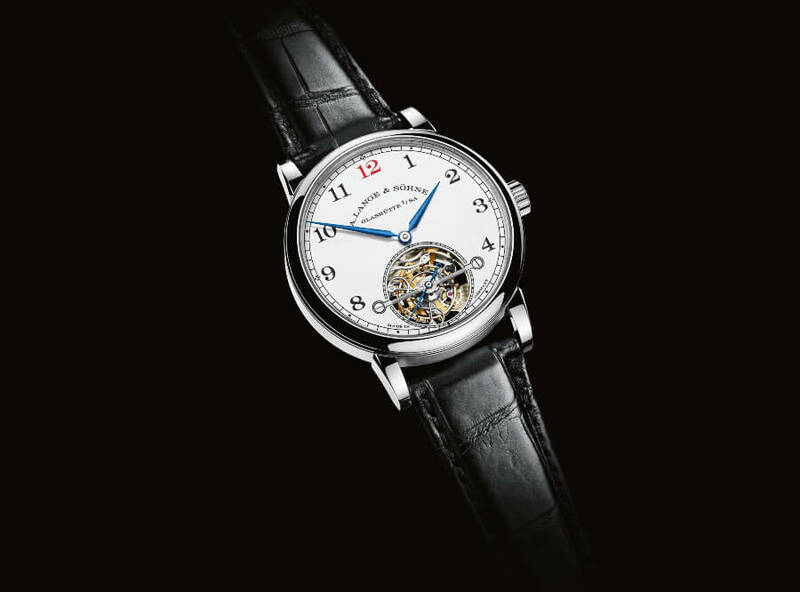 Blued-steel hands, Arabic numerals and a railway-track minute scale represent the classic personality synonymous with legendary nineteenth- and twentieth-century pocket watches. The 1815 Tourbillon is equipped with a black hand-stitched alligator leather strap secured with a solid-platinum deployant buckle. 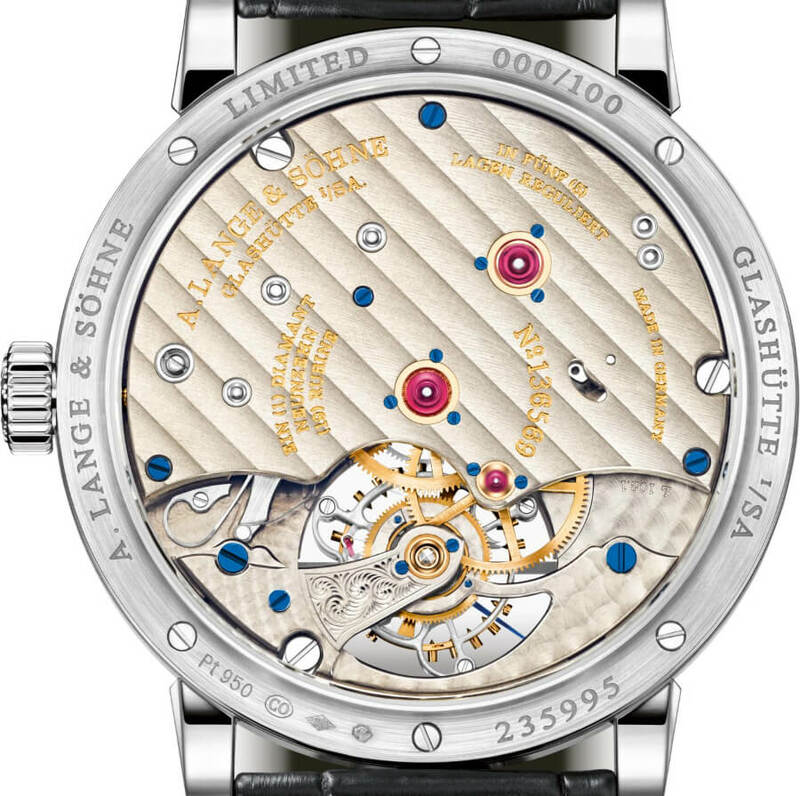 The price for the A. Lange & Söhne 1815 Tourbillon with Enamel Dial is Euro 198,000 including VAT. 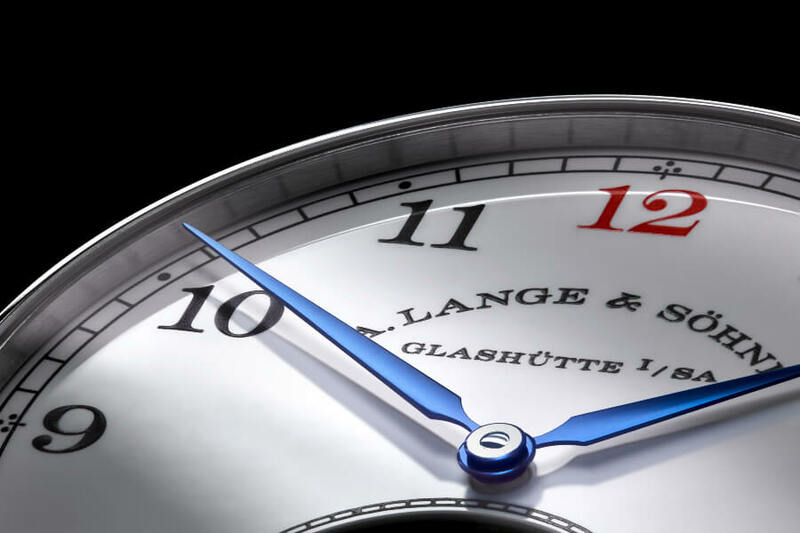 For more information visit A. Lange & Söhne Online.